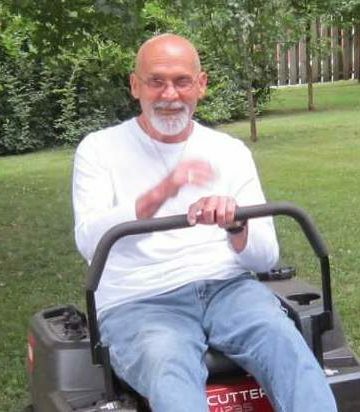 Crawford, Jimmie Dale age 68 of Goodlettsville passed away on June 25, 2018. Jim was retired from Aladdin Industries where he worked as an Engineer. He was a member of St Joseph Catholic Church. Jim volunteered at the Nashville Rescue Mission and The Room In the Inn. He was Preceded in death his father, Eulane Crawford and brother, Norman Crawford. He is survived by his wife, Ann Crawford; children, Lisa Justice, Colonel Michael Crawford (Tony) (and his wife Kasey, and Jacob Crawford and his wife, Samantha; mother, Mildred Crawford; sister, Carolyn Lashley and her husband, Terry; grandchildren, Hailee, Hunter, Dale, Christopher, Dalton, and Mary Ellis. Visitation with the family will be on Thursday from 3-7 pm at Cole and Garrett Funeral Home, Goodlettsville. A Funeral Mass will be held at 10 am Friday at St Joseph Catholic Church, Madison, Tn. With Father Jean Baptiste officiating. Rosary will be recited at 9:30 am at the church. In lieu of flowers, contributions may be made to the Women’s Club or The Sheppard’s Center at St Joseph Catholic Church, 1225 Gallatin Pike South, Madison, TN 37115. Gone too soon! Much love to the family! Sorry for your loss, Jacob. He’s with the Lord now. So sorry for the loss of a great guy. Madison High School Class of 68. You will be missed. So sorry for yall’s lost. My prayers are with y’all family. with the memory of my Dear Friend Jim Crawford. In my heart you shall always remain. Sorry to hear about Jimmie. Prayers for all his family. Jimmy, I will miss you my friend. I will remember Jimmy as my former neighbor and classmate. He was a wonderful guy. My condolences to the family. I love you UncLe Jim. Thank you for believing in me when I needed it most. I hope you are enjoying Heaven. So many great times spent together during our Madison High School days. Blessings on You and Your Family dear friend. I love this family and am so sorry for your loss. You are all in our prayers. I’m so sorry to hear of Jimmy’s passing! Gone entirely to soon, so glad I got to talk to him several times within the last month. Praying for everyone! Love you all. My thoughts and prayers are with the family of Madison High classmate. I am so sorry on the loss of Jimmy. He was a good guy. Prayers for all the family. I will always remember Jimmy’s big grin and laugh.